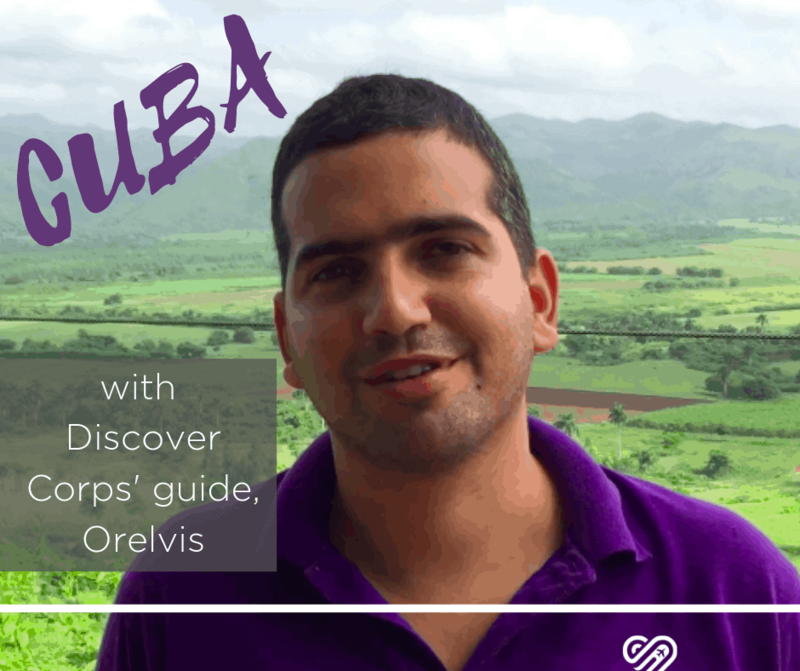 The passion of Discover Corps’ guide, Orelvis, is clear from the moment you first meet him. His enthusiasm for his country and showing you his country is infectious. 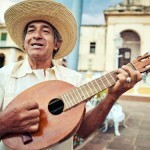 As you explore Havana and the surrounding region “Elvis” provides colorful commentary that only deepens your experience. It’s no wonder, that many travelers can’t help but form a strong bond with their insightful guide. 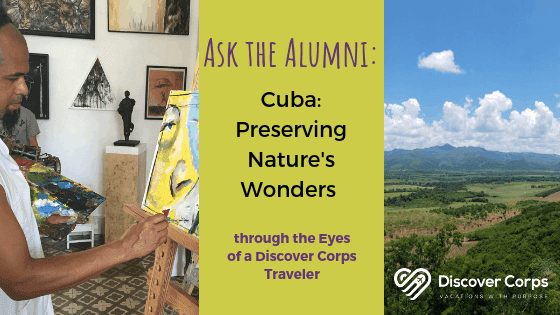 So what better person, to share in his own words, what a trip with Discover Corps like Cuba: Preserving Nature’s Wonders is really like. Take it away Elvis! 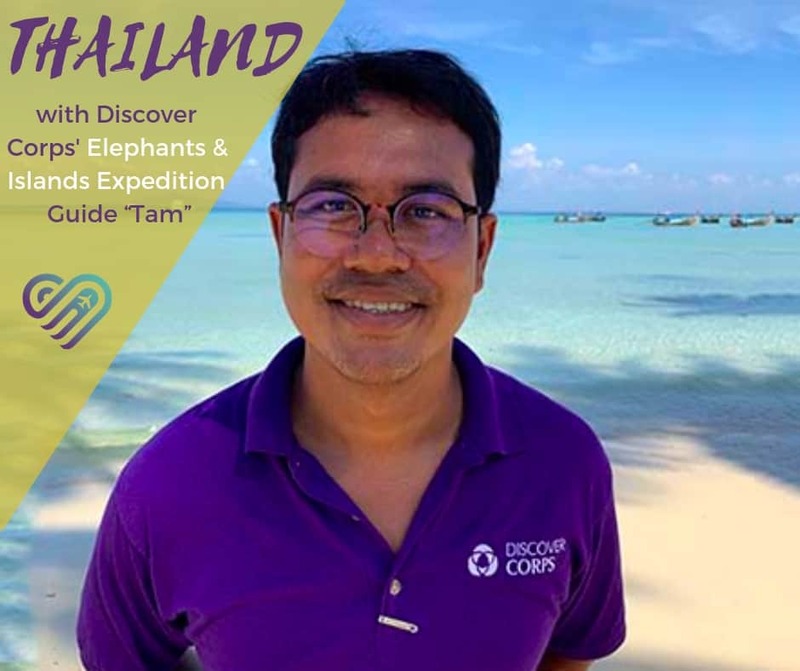 After being a tour guide for so many years, you might think Discover Corps Guide Siwarkorn Hkt, or “Tam”, has probably done and seen it all. There’s something, however, that keeps him smiling and talking about how much he loves his job: the people. 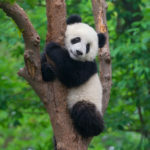 Of course, the wildlife and beautiful scenery on the Thailand: Elephants & Islands Expedition are incredible, but it’s the people that really stand out for him. 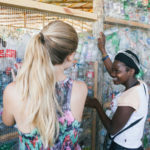 From the conversations and shared experiences between travelers, to the time spent with locals, these relationships built while on your volunteer vacation stay with you for a lifetime. 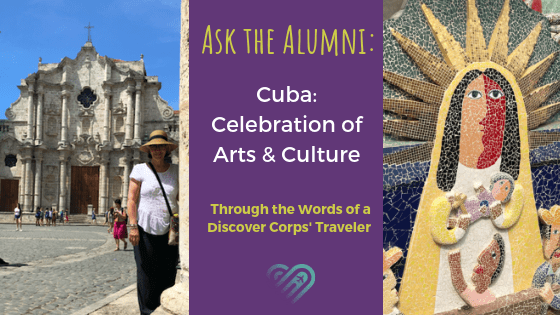 After three Discover Corps Cuba trips, some might consider Elaine an aspiring Cuban expert. The way she describes her experiences there, it’s clear she has seen a side of the country that many have not. Yet, as she shares, there is still so much she wants to see and learn. 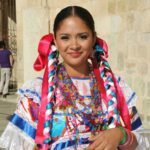 Elaine kindly opened up about her adventures – which includes some valuable information for future Cuba travelers – and to no one’s surprise, she is ready to go back again. This time with the whole family. When planning a vacation many travelers are also expert researchers. How many minutes is the second layover? Does the hotel have 4 or 5 stars? and especially, Is breakfast included? 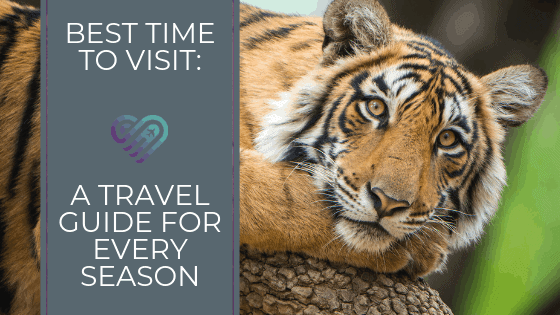 This information is valuable, but knowing when to travel is just as important. So to help the cause, we studied the best time to visit each of the must-see destinations below. Now, you can focus on that complimentary omelet with orange juice. Enjoy! It’s crunch time! Don’t look at your calendar now, but Christmas Day is starting to come into focus, friends. We’ve officially entered the holiday season mayhem. You know the routine. During this time of the year, event invitations pile up along with endless dirty dishes, your “trip to the store” transforms into the scene from the latest action film, and your shopping list goes up and up, but somehow your multi-colored lights haven’t found their way onto the front of the house just yet. December does bring many joys: family, festivities and food, but if we’re honest with ourselves, what we’d really like to do right now is…breathe. There’s only so long we can continue to remember the next five things on our To Do list. So while the holiday season encourages you to go-go-go (and ho-ho-ho! 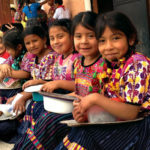 ), the Discover Corps team lovingly offers your family an opportunity to slow down and take in the moment. Or as we call it, give the present of being present. Is your family itching to pack their suitcases and beeline to the airport? If so, you’re certainly not alone. 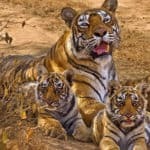 Family travel is taking off globally and this trend is only expected to increase. According to GlobalData, family travel is expected to rise by nearly 25% to 376 million trips annually by 2022. 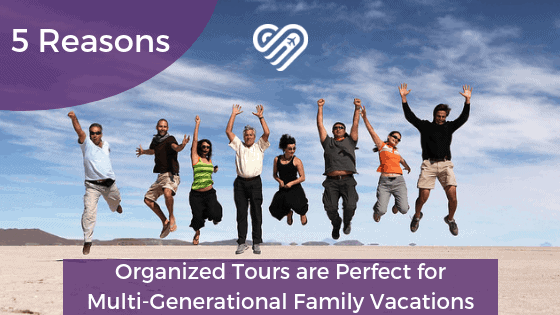 This rapid growth includes a rise in multi-generational family vacations, which presents an important question to consider – What’s the best way for my entire family to travel? The people will always make the place. 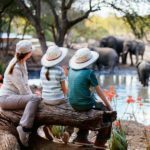 For as much as world-class vacation packages can promise to entertain and impress, experienced travelers know that even the globe’s greatest destinations are really only as memorable as the family or friends you elect to bring along with you. The recipe for a truly unforgettable vacation calls not only for an awe-inspiring location, but also for a travel entourage worthy of the memories. 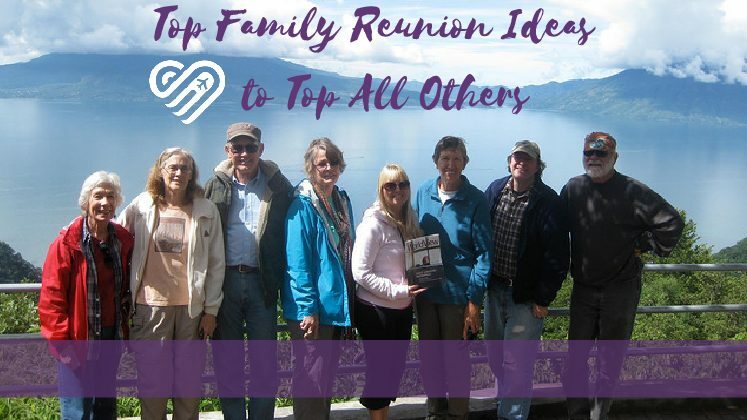 Given that family vacations are unique in their ability to commemorate common bonds, resurrect familial friendships and establish a new generation of worthwhile memories, consider this your invitation to pair a worthwhile destination with a deserving audience. 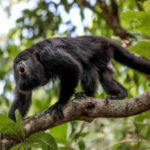 Costa Rica is one of the most biodiverse countries in the world, home to fascinating wildlife such as gibbons, sloths, toucans, jaguars, and of course, sea turtles. Unfortunately, the population of Costa Rican sea turtles has declined by 90% since 1980. Sea turtles face myriad threats such as boat traffic, domestic animals, climate change, accidental catch by industrial fisheries, and increased trash in oceans and beaches (which they often mistake for food). As a conservationist, understanding nesting and hatching patterns is crucial to the protection of sea turtles. 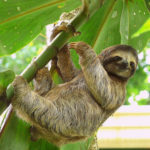 On our Costa Rica: The Sea Turtle Initiative trip, we’ll spend three days volunteering on a turtle conservation campaign. Given the declining population of turtles, every bit of help is welcome and each turtle is precious. 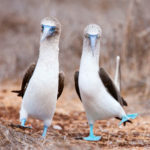 It’s up to you what time of year you’re interested in learning more about – protecting the nesting female sea turtles, or lending a hand with the vulnerable hatchlings. Check out the infographic below to help make your decision! 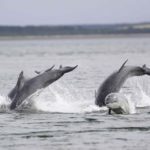 What Does it Mean to be a UNESCO World Heritage Site? 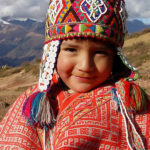 Visit the UNESCO World Heritage Site Machu Picchu and volunteer with Discover Corps here. 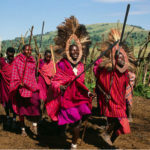 Travelers, adventurers, and tourists alike have all heard of a UNESCO World Heritage Site. 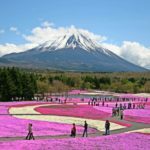 They’re usually considered gorgeous “must-visit” places, especially if you are looking to get to know a different country. 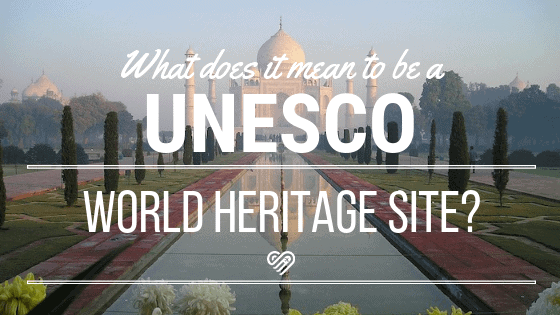 But what is a UNESCO world heritage site, really? 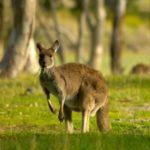 How do they earn that status, and why should they be protected? Believe it or not, this idea has not been around for long. Declaring structures and land masses world heritage sites began in 1959 when Egypt requested assistance from The United Nations Educational, Scientific and Cultural Organization (UNESCO), a specialized agency of the United Nations, to protect and rescue endangered monuments and sites. 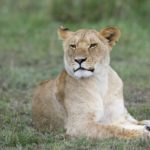 Since then, countries all over the world have added significant sites to the ongoing list of recognized world heritage sites. To date there, are 878 UNESCO World Heritage Sites across the world.